As demand has increased for mobile learning solutions, so have the options for authoring tools! I recently wrote a piece for eLearningIndustry.com to help bring some clarity to this decision. These days we can put tools into two categories: tools that create learning solutions that are designed for the phone and ones that create solutions that work on the phone. It’s an important distinction that definitely affects the learner experience. What do you need to think about when choosing your mobile learning authoring tool? Important considerations include the learning environment, your training objectives and content, what functionality you might need, and accessibility needs, among others. I want to thank my colleague Misha Milshtein, SweetRush’s Director of Engineering and Development, who contributed valuable insights to the article! And be sure to check out my colleagues’ articles on mobile learning solutions! mLearning: Is it Right for Your Organization? 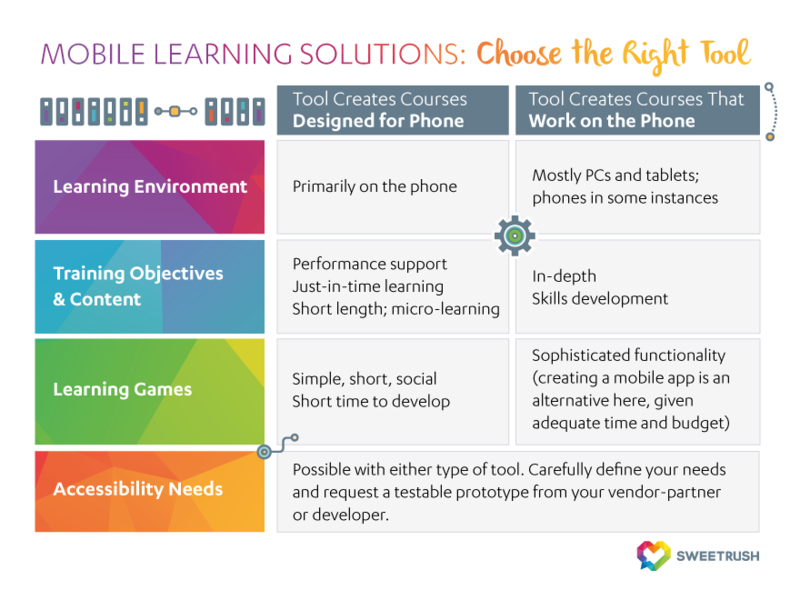 Can we help you design and develop a mobile learning solution for your organization? We’re here to help! 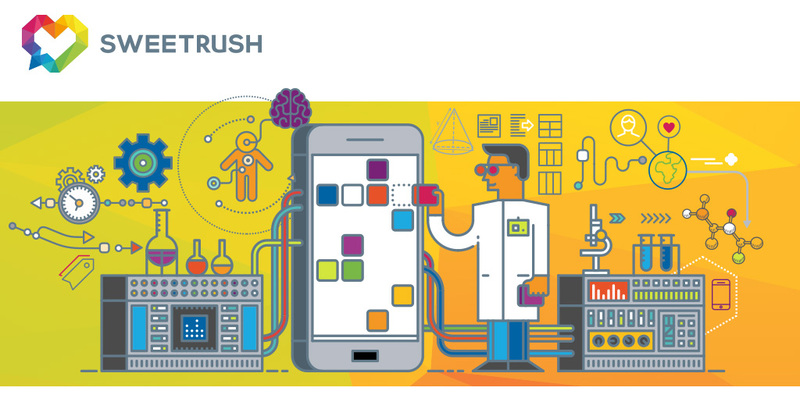 Get in touch with Lauren and our Solution Architect team at info@sweetrush.com. It would make our day to hear from you.